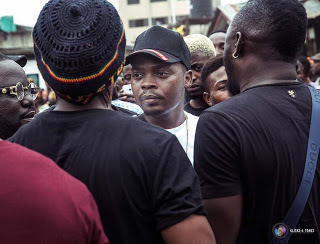 Following its recent controversy, Olamide’s new record ‘Wo’ has been banned by the National Broadcasting Commission (NBC). The record is one of five songs which has been tagged by the NBC as “Not to be Broadcasted.” The corporation released the list, saying it has banned the 5 songs from being aired on all local radio and TV stations. There has been no official reason why the songs were blacklisted. The Federal Ministry of Health had in a tweet on Friday, August 18, 2017 said that the video to Olamide’s “Wo” is in violation of the Tobacco Control Act 2015. Tweeting the information via its official Twitter page, the Ministry of Health claimed that the video which features ghetto scenes in which youths are seen smoking, encourages second-hand smoking.